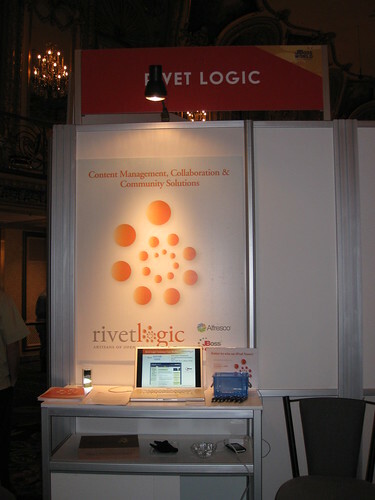 Liferay’s annual West Coast Symposium is being held next week on September 8-9, 2010. One of the anticipated events is the debut of Liferay Portal 6EE, which will be broadcasted live for those who can’t attend the conference. As part of the Liferay 6 launch activities, Liferay will also showcase a new feature in Liferay 6 each day starting on 8/31. Liferay is also hosting a series of worldwide roadshows with their partners to further drive product awareness. Rivet Logic will be participating as a sponsor at the West Coast Symposium and hosting the Reston, VA roadshow at our facilities on September 24th. Alfresco just selected Rivet Logic as the winner of their Americas Partner of the Quarter Award. We’re truly honored to be recognized again by Alfresco for our accomplishments. Over the past year, we’ve continued to see strong demand for our Alfresco consulting services as more and more organizations are becoming more liberal towards the idea of open source. Last quarter, we kicked off several new Alfresco projects in a variety of sectors – including higher ed, media/publishing, technology and non-profit. We look forward to continuing our work with major enterprises, and contributing back to the Alfresco community. 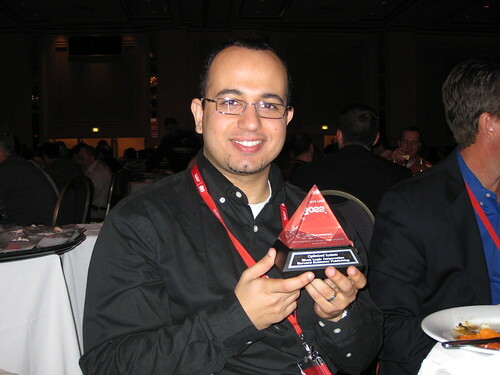 Although we didn’t walk away with the overall JBoss Innovator of the Year Award, we still have our category award for Optimized Systems to display in our trophy case…. 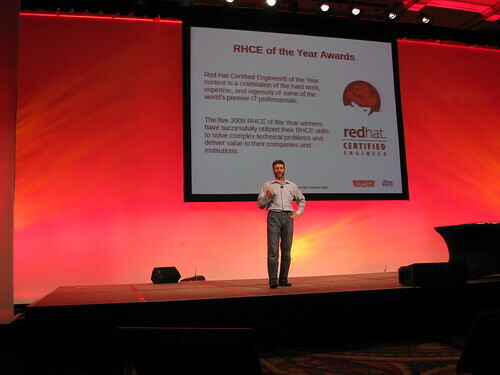 Last week, Red Hat launched their third annual Innovation Awards, which will be presented at the 2009 Red Hat Summit and JBoss World held in Chicago later this year in September. There are a total of six categories, including Management Excellence, Optimized Solutions, Superior Alternatives, Extensive Ecosystem, Carved out Costs, and Outstanding Open Source Architecture. 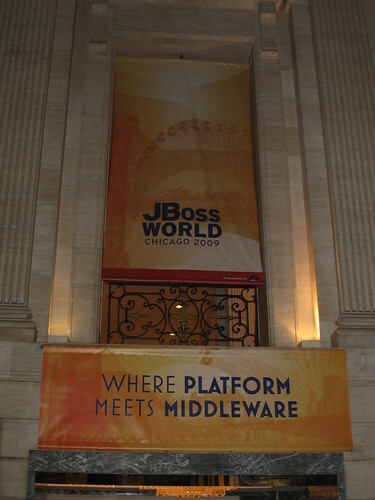 Last year, Rivet Logic was honored with the JBoss Innovator of the Year Award for our Kaplan Test Prep and Admissions implementation, www.kaptest.com. 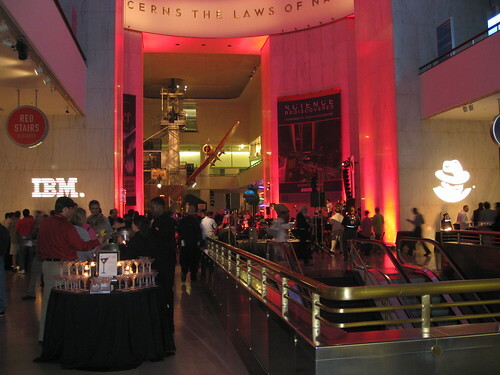 We look forward to participating in the Innovation Awards again this year! In this down economy, enterprises everywhere are looking for new opportunities to cut costs. Why use expensive, proprietary ECM applications and infrastructure when commercial open source alternatives offers dramatically reduced costs, mitigate risk, without compromising on performance availability and supportability? Join us as Rivet Logic and Ingres Corporation co-host a webcast this Wednesday, March 4th, to see how transitioning to an open source infrastructure with products like Alfresco, Red Hat, and Ingres could benefit your organization as we draw on real-world examples. Click here to register for this webcast. Red Hat and Microsoft?? Working together??? Yes, you heard correctly. The two leading and competing providers of operating environments deployed by enterprises are coming together due to customer demand. Red Hat announced recently that it has “signed reciprocal agreements with Microsoft Corporation to enable increased interoperability for the companies’ virtualization platforms”. More information can be found at www.redhat.com/promo/svvp. This just goes to show that Red Hat and Microsoft CAN work together under one roof, or at least one virtualized environment…….